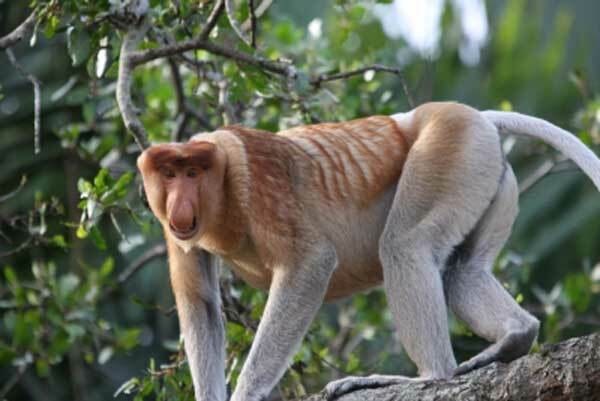 To better understand social structure, especially multi-level society, in proboscis monkeys, I studied all-male groups of proboscis monkeys in Lower Kinabatangan Wildlife Sanctuary from June to September 2010. 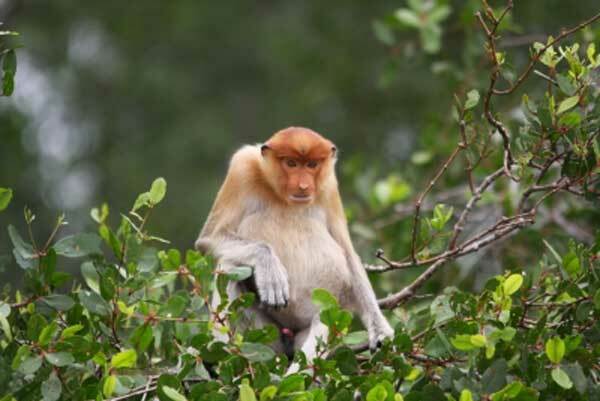 It has been suggested that proboscis monkeys set up their sleeping sites in riverside trees. To confirm sleeping site locations of all-male groups, boat-based observations were conducted along the Menanggul River during late afternoon and early morning. As a result, two all-male groups consisting of 15-20 males were confirmed in the study site. I identified eight adult males in two all-male groups by describing their individual physical characteristics. In addition, the relative age of each individual was estimated. I also recorded the social interactions among adult males during the observations. Further, I visited the Sabah Wildlife Department and the Institute for Tropical Biology and Conservation, University Malaysia Sabah and discussed findings from this research with Malaysian collaborators.